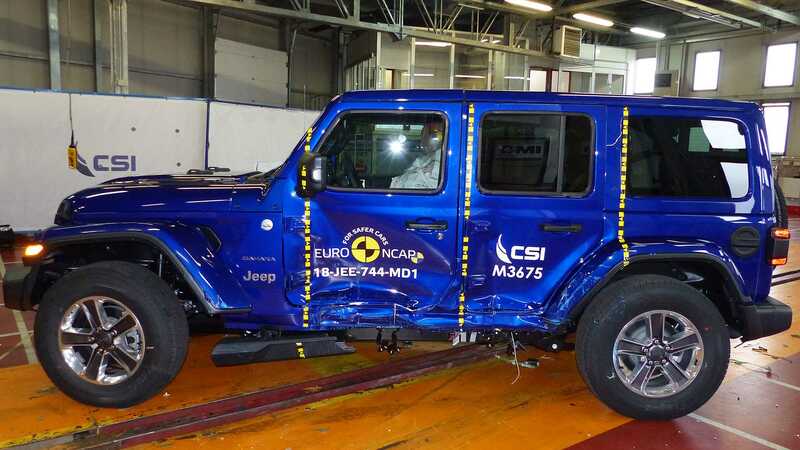 Euro NCAP, an independent committee for crash testing, has revealed test results of the next-generation Jeep Wrangler SUV and the Fiat Panda compact. The former received one star, while the latter scored none altogether. Both cars were marked as exceptionally unsafe to drive. Let’s start with the Jeep Wrangler. During the head-on collision test, driver’s legs and chest proved to be the most vulnerable areas. The crash dummy on the rear seat suffered severe chest injury during a collision with a solid obstacle. The research team also had to deduce points for missing children’s seat mount points on the front passenger seat and in the center of the rear sofa. As for the Fiat Panda, head-on collision tests detected severe stress levels on the head and chest of the front passenger. During the rearward impact test, rear passengers were found extremely vulnerable to the so-called ‘whiplash injuries’. This kind of injury is seldom fatal, but may severely affect the cervical region of the vertebral column and cause long-lasting illness. The Fiat Panda also scored zero points in Child Protection: frontal and sideward collisions were found extremely likely to result in severe head injuries among young passengers.